The British company Gossard launced the Ultrabra plunge bra in 1994 with the advertising tagline. 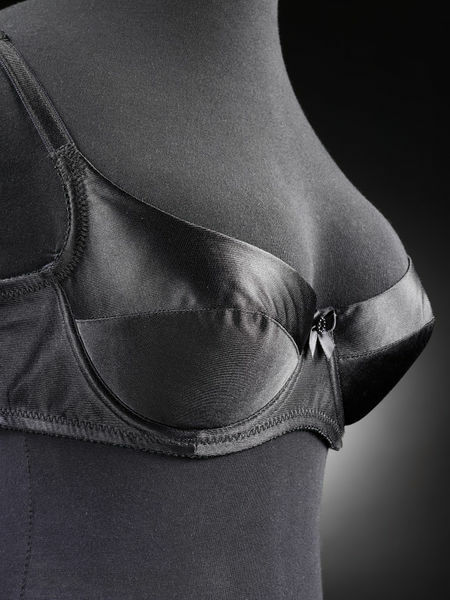 'Ultrabra, creating the ultimate cleavage'. The bra was launched to compete with Playtex's Wonderbra, which Gossard had lost the licence to produce. The resulting brand rivalry became known as the 'Bra Wars'. The bra's packaging conveys an image of knowing sensuality designed to appeal to both men and women.